The Chulus form the part of the Manang Himal. The Chulus form the part of the Manang Himal. Of the two Chulus (East and West), the West is the 5th highest peak out of 18 peaks that have been listed under the Nepal Mountaineering Association (NMA). 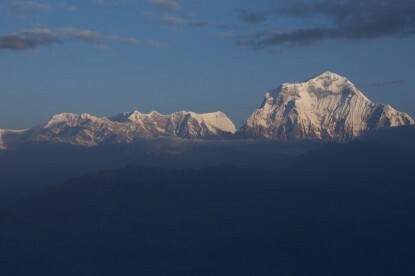 First ascended in 1952 by a Japanese Expedition, it is also one of the least frequented trekking peaks of Nepal. Situated in a small valley north of Manang, off the main trail to the Thoronga- La, the Chulus often generate controversies regarding their name and the location hence there are several peaks close by and are also a part of Chulu massif which incidentally are not indicated in the map. However, the Chulu group comprises four peaks: two in the east and two in the west. Chulu West may also be called Chulu Central. There is no technical difficulty in ascending this peak but progress can be slow as the slopes are vulnerable to avalanches in certain conditions. 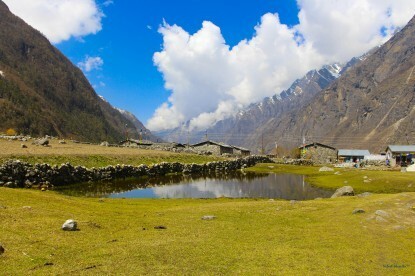 Chulu West is a moderate to challenging peak, usually requiring two camps above base camp. It is a wonderful peak with absolutely beautiful views of Tibet and Mustang. Many fossils can be found at around 5100 meters. Drive west to Bensisahar 9 hours by bus. Beshisahar - Bahundanda (1311m) - 6 hours. Bahundanda - Chamje (1433m) - 6 hours. Chamje - Dharapani (1943m) - 6 hours. Dharapani - Chame (2713m) - 6 hours. Chame - Pisang (3292m)- 5 hours. Pisang - Manang (3351m) - 4 hours. Chauri Lethar - Thorongphedi (4510m) - 3 hours and rest for the whole day. 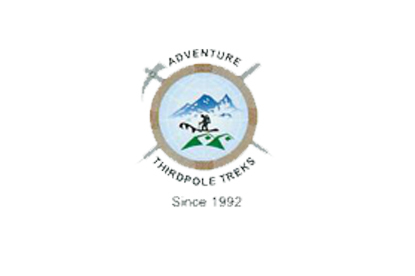 Thorong Phedi - Thorong-La pass (5,416m) - Muktinath (3800m) - 9 hours. 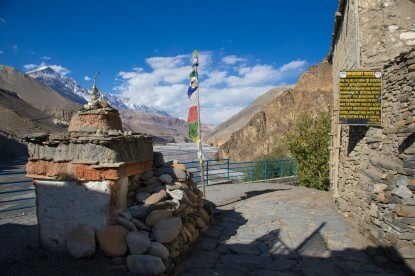 Muktinath - Kagbeni (2800m) - Jomsom (2726m) - 5 hours. Drive east to Kathmandu (200km/8 hrs) by bus or fly to Ktm - 35 minutes.